As you already know, no snow! Or very little this winter 2011-2012. Can it snow in March? Yes. Will it? Not likely! The pattern into the middle of March looks quite warm. Winter goes in the record books as the period of December, January and February. 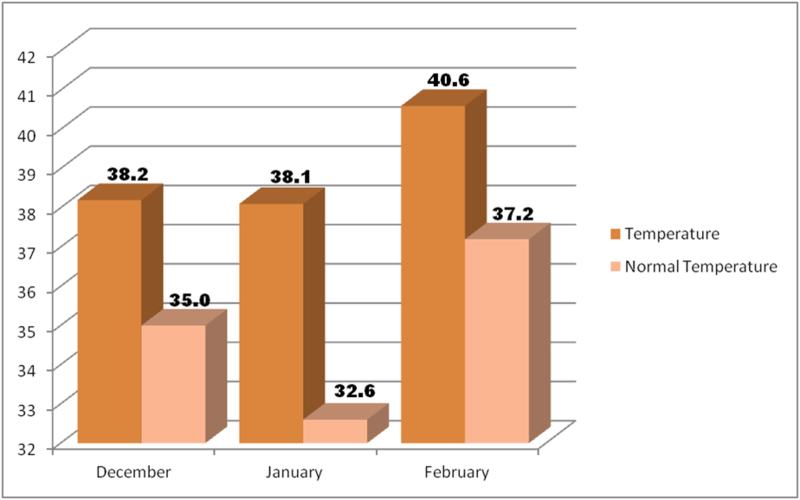 In Springfield, all three winter months recorded above normal temperatures. There were a total of 14 sixty-degree high temperature days over our winter months with the highest reading of 69 occurring in January. Missouri as a whole recorded its third warmest winter on record going back 117 winters. Most of the country was above normal with many states in the northern and northeastern U.S. within the top five warmest on record. The lower 48 states recorded the 4th warmest winter on record and the warmest since the year 2000. 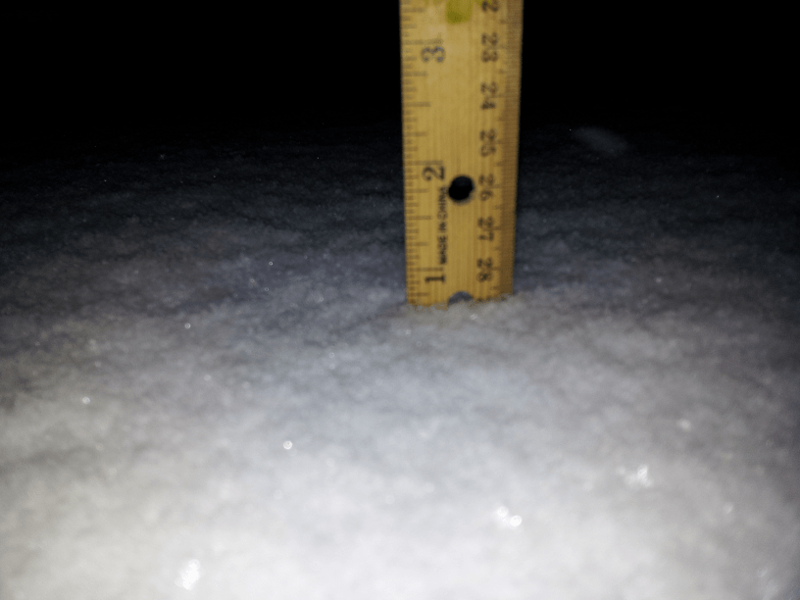 Springfield measured 1.7″ officially with a season total of 2.8″, still pretty slim! 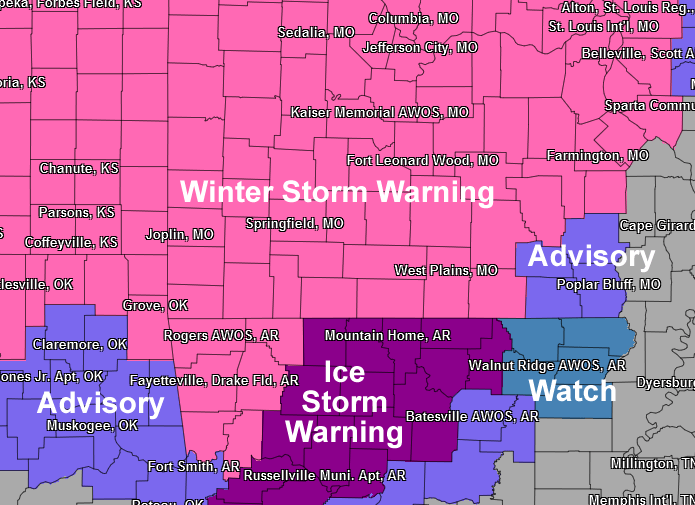 The next weather system looks warmer which means rain for the Ozarks. 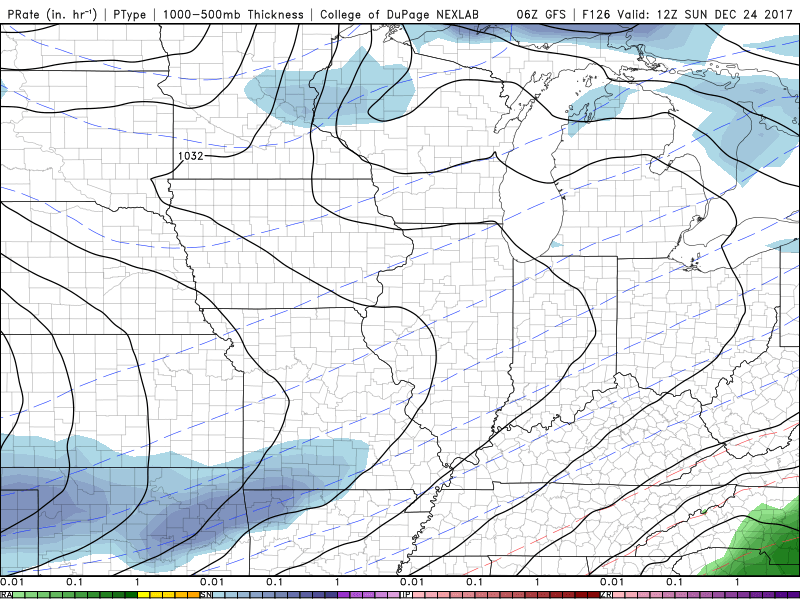 In fact, there might be enough instability to support some lightning and thunder as it swings through on Wednesday. The winter side of this next weather maker will be far to the north. 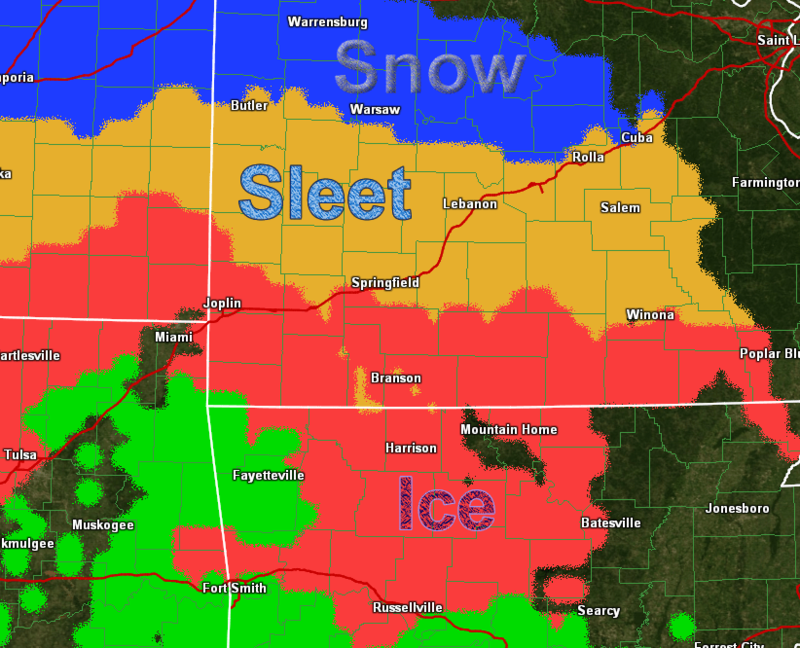 Northwest Missouri may get a swath of snow along with portions of Kansas. 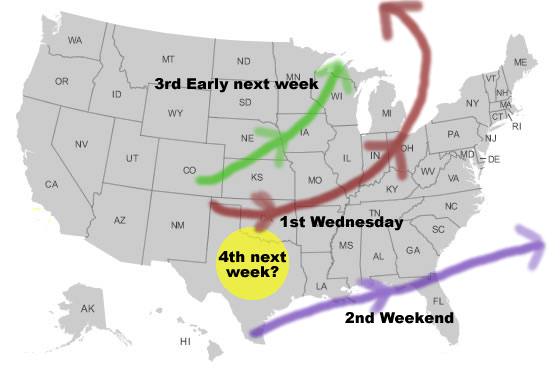 The severe storms’ side of this next system will be from east Texas through the deep south into Arkansas, Louisiana, Mississippi and Alabama on Wednesday. 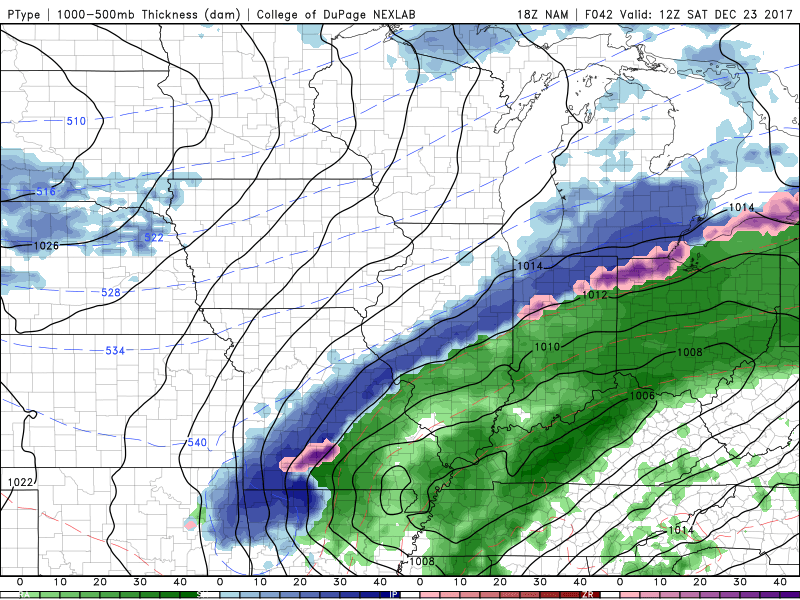 Today’s winter precipitation is unfolding pretty much as forecast. I’m calling this our “speedbump snow”! The band of snow moved in before sunrise. Widespread totals of 1-2″ have be reported in the area with an occasional 3″ total. 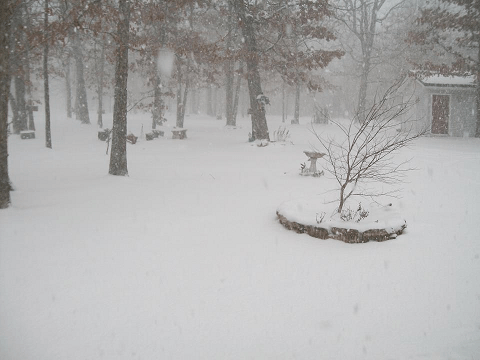 (Mansfield picked up just over 3″) A viewer did also report 5 inches of snow near Norwood late this afternoon. 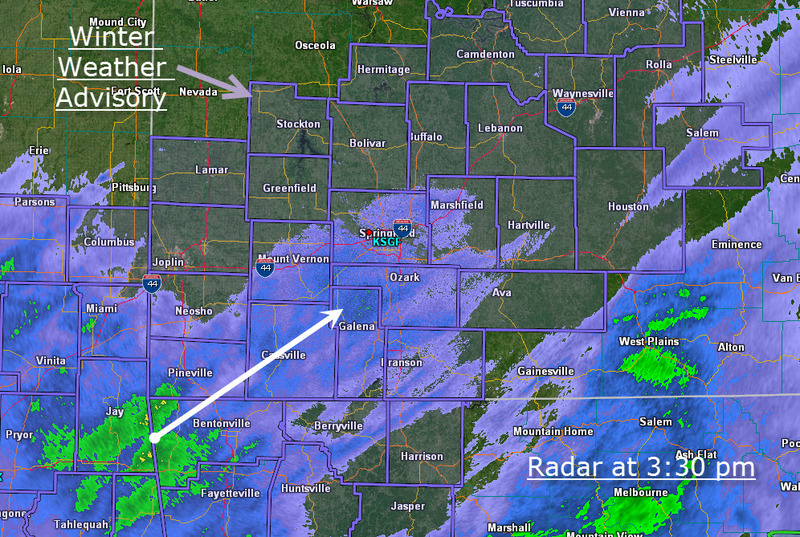 Snow is pretty much confined to areas east of Springfield and still coming down pretty good in some of those areas. This will slowly wind down this afternoon and early evening. Some warmer air aloft has changed the snow over to sleet or light freezing rain at times in areas from Springfield west. Temperatures at the surface have warmed to around freezing in western Missouri and Arkansas. Readings will hover where they are or perhaps even rise a degree or two into the early evening hours. 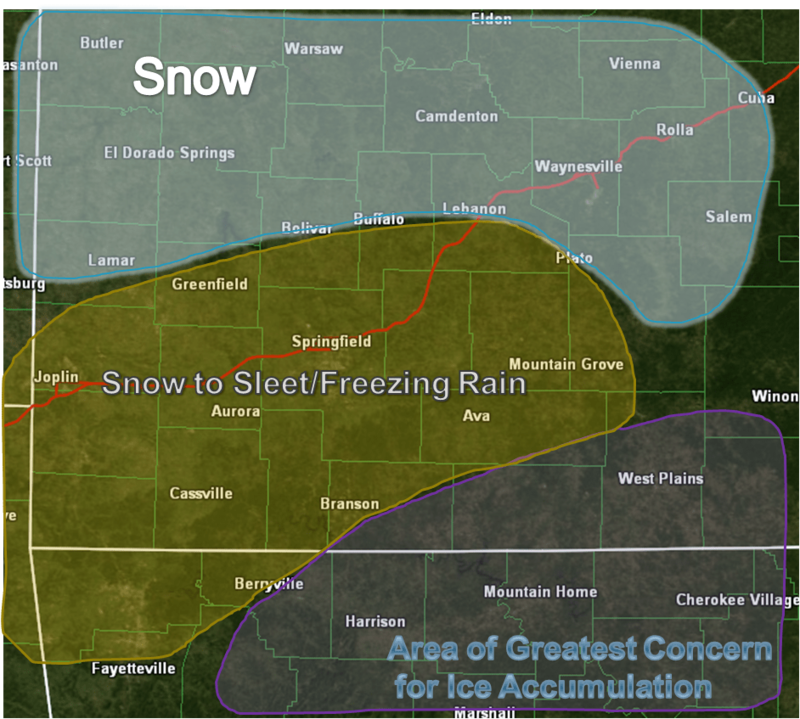 I don’t believe the freezing rain or drizzle poses an additional travel problem. Arctic air is not poised to come slamming in here tonight and instantly freeze everything. 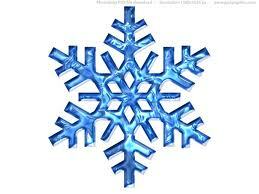 Temperature will be just below freezing however and drivers should take it easy of course. This snow system has behaved itself quite nicely thus far. It has initially run into some very dry air so the snpw start time and totals so far have been somewhat hindered. One inch snow totals are very common through about 6:30 am this Monday morning including Mtn. Home AR and Springfield. The snow is sticking to area roadways. Now that the air has been primed with higher humidity by this first snow batch, additional snow later today will be somewhat more efficient when it falls. A forecast of 1-3″ storm total still looks just about right for the area. Later today and this evening, a changeover to freezing drizzle is expected. Since this is light precipitation, ice accumulations will be very light. Oh, also, the Springfield National Weather Service radar is down for an upgrade in case anyone trying to access radar images on-line is wondering.